Tetrahedron Provincial Park is a favourite of summer hikers, winter snowshoers, and backcountry skiers. The park offers amazing ocean and mountain views, ten freshwater lakes, and four cabins that can accommodation for 12 people for overnight stays on a first come, first served basis. These cabins are located at Bachelor Lake, Edwards Lake, McNair Lake, and near the summit of Mount Steele. Cabins in Tetrahedron Provincial Park. 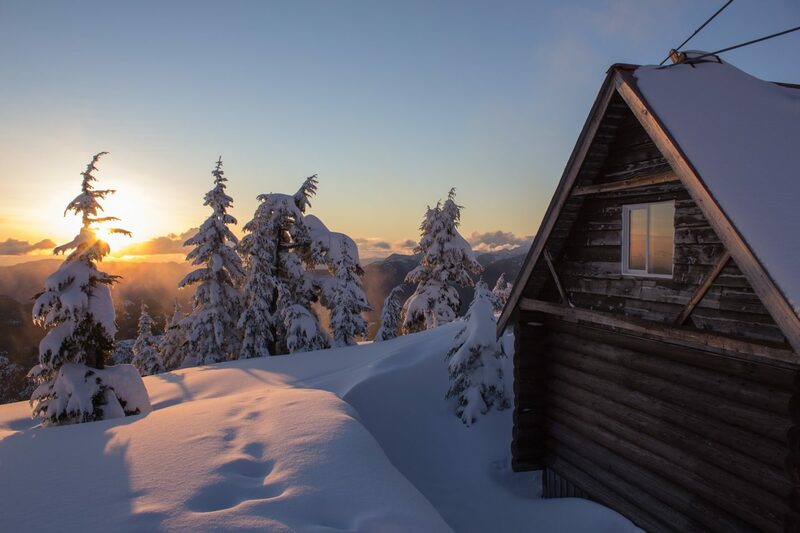 For those planning to visit the park for the first time, try the trail to Bachelor Lake cabin (2.5 km, one way) or Edwards Lake cabin (4.5 km, one way) for a great day hike, snowshoe, or ski touring trip. A popular loop route runs from the parking lot to Edwards Lake and then returns via the cabin at Bachelor Lake. If you’d like to make it an overnighter, it’s an easy stopover at either of the cabins along the way. For those looking for a longer trek, the hike to Mt. Steel is an additional 3 km from Edwards, and McNair is an additional 5 km from Edwards. Trails lead from the cabin at Edwards Lake up to the Mount Steele cabin above or down to the cabin near McNair Lake. View from Mount Steele in Tetrahedron Provincial Park. Many of the cabins can be accessed by crossing frozen lakes in the winter. Be aware of ice conditions and ensure that you are safe if venturing out over the lakes. Trail options using standard paths on land are available. Furthermore, avalanche hazards do exist in the park. 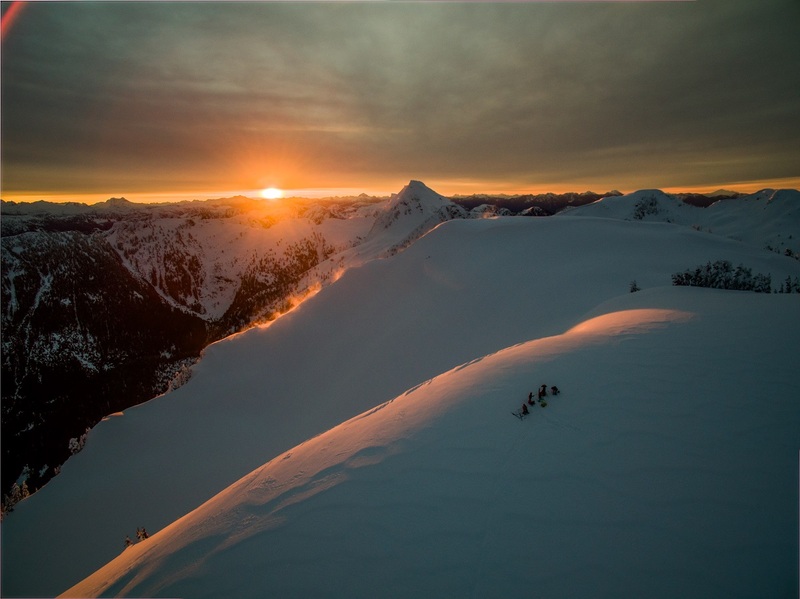 If you plan on travelling through this park in the winter, make sure you have all your avalanche safety equipment (beacon, shovel, and probe) and know how to use them. This is a backcountry area within avalanche terrain and all travellers should be knowledgeable on safe backcountry travel before entering the park. 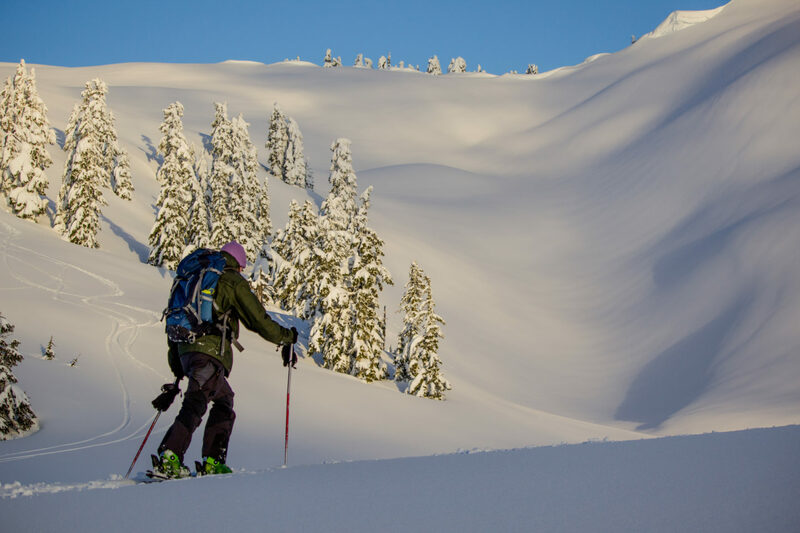 Ski touring in Tetrahedron Provincial Park. Having this gem of a park with four backcountry huts is very special and is made possible by the hard work of many volunteers. Please ensure you pay your hut fees to keep these facilities operational. Hut fees are payable to the Tetrahedron Outdoor Club or at the Shell gas station in Wilson Creek IGA Plaza. For snowshoe or cross country ski rentals, visit Alpha Adventures in Wilson Creek. For resources and more information on the park, check out the Tetrahedron Provincial Park page, the Tetrahedron Outdoor Club Facebook page, the general Tetrahedron Outdoor Club. From the main lights in Sechelt at Wharf and Highway 101, head north on Wharf (turn right if you’re coming from the south, go straight through if you’re coming from the north); turn right at E Porpoise Bay Rd, which later becomes Sechelt Inlet Rd, and continue for ~10 kk. Just after crossing the bridge over Grey Creek, turn right onto the Grey Creek Forest Service Road. After ~1 km take the left fork (a memorial marks this major junction) and keep to the main road. You will cross a bridge at ~7 km, and reach the lower parking lot, with info kiosk and outhouse, at 11 km. In summer you can continue 1 km further to the upper parking lot, but the road is rough and requires clearance. In winter, four-wheel drive and chains are absolutely necessary to for travel on this road. Thanks to Alpha Adventures for providing helpful trail tips. All photos by Jake Gjerdalen.